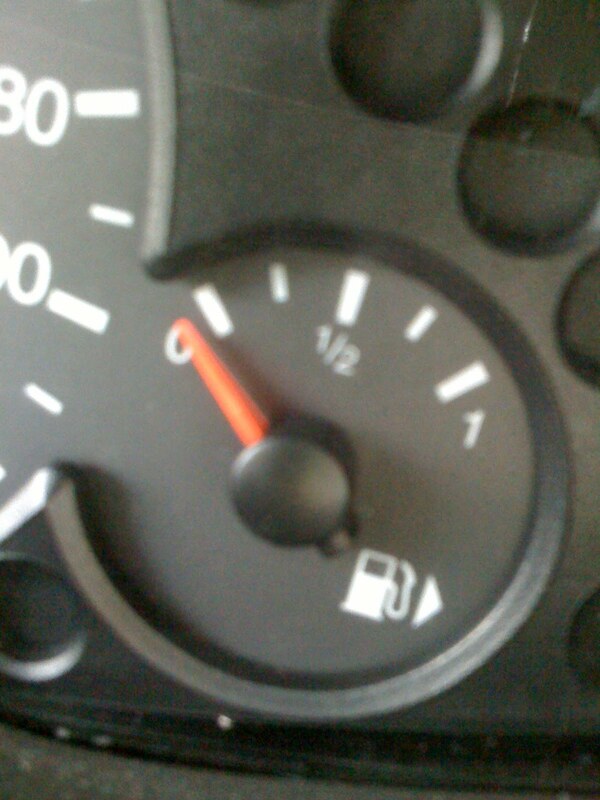 Scenario: You've borrowed someone's car, and you have the courtesy to fill up their tank. You pull up to the station and "Hmm, which side is the cap on?" Solution 1: Assume it's on the left/right, pull up to the pump, get out, swear under your breath, move car to a different pump with cap facing the right direction. Solution 2: Find the gas gauge on the dash. Find the arrow / triangle. Whichever direction the arrow / triangle points is the side of the gas cap. Genius, isn't it? I learnt this about a year ago. It's nice not having to do guess work in a rental when it's -40 out. I'm not going to lie, as soon as I read this I ran outside to check my own car and sure enough there was the little arrow - talk about hidden in plain view! I didn't know either! Maybe I should've read the manual. Mine has always been on the left. My cars are cohorts of the devil, obviously. Haven't you ever wondered what it was there for? My cavalier is on the right. Figured this one out when I had to put gas into an suv that wasn't mine. Much easier! :) It was a chev and on the right too... they're usually on the left I thought?